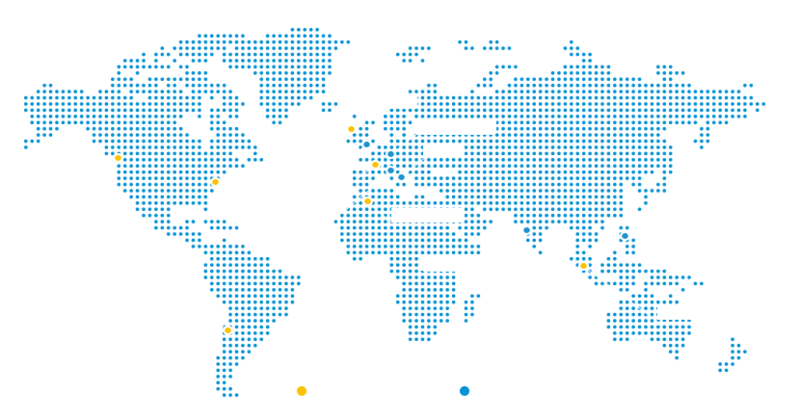 d’Amico Dry Cargo operates a dynamic fleet ranging from Handy/OHBS, Supramax and Panamax, up to Mini-Cape vessels. The Company transports cargo for a large range of customers including international trading companies, mining companies, food processors and semi-finished goods manufacturers. In addition, through the company d’Amico Dry Maroc, the Company runs a container service operating in the Mediterranean Sea. A dynamic fleet specialized in the Panamax, Supramax and Open Hatch/Box Shaped Handy, Mini Cape vessels, transports most of the bulk commodities for the main international trading companies. d'Amico Group offers also a service of Containerships in the Mediterrenean Sea area operating a dynamic fleet from offices in Casablanca and Tangeri.